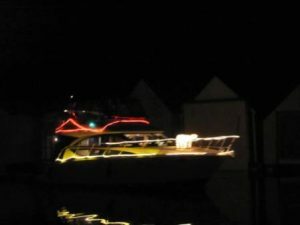 Each year, during December, the Shelton Yacht Club presents The Lighted Boat Parade. Boats, decorated with lights, leave the Oakland Bay Marina at 6:00 PM and travel around the shores of Oakland Bay before heading down Hammersley Inlet. 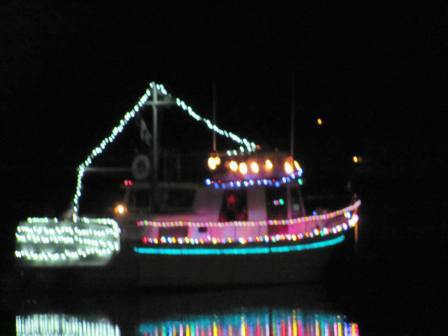 The parade usually goes about half a mile past Libbey Point and then turns around and returns to the Oakland Bay Marina. This year’s Lighted Boat Parade is scheduled to leave Oakland Bay Marina at 6:00 PM on Friday, December 9th and Saturday December 10th. Participation in the Lighted Boat Parade is open to all competent boaters and is NOT limited to Shelton Yacht Club Members. If someone is interested in participating, the boater should leave a message at the yacht club’s phone number: 360-426-9476 and some one will get back to you with all of the information you will need. At the current time there are 13 boats signed up to be in the 2016 parade. 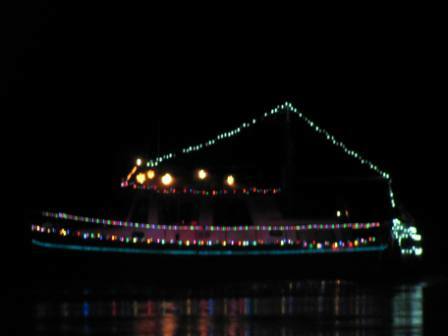 The Lighted Boat Parade is dependent on weather. As always, if it is not safe to navigate the route the parade will be canceled. Hammersley Inlet can be challenging during good weather during daytime hours. No one wants to put lives or their boat at risk if the weather is deemed dangerous.